Not a single garden project is equal. Not to mention when we are talking about a Japanese garden. 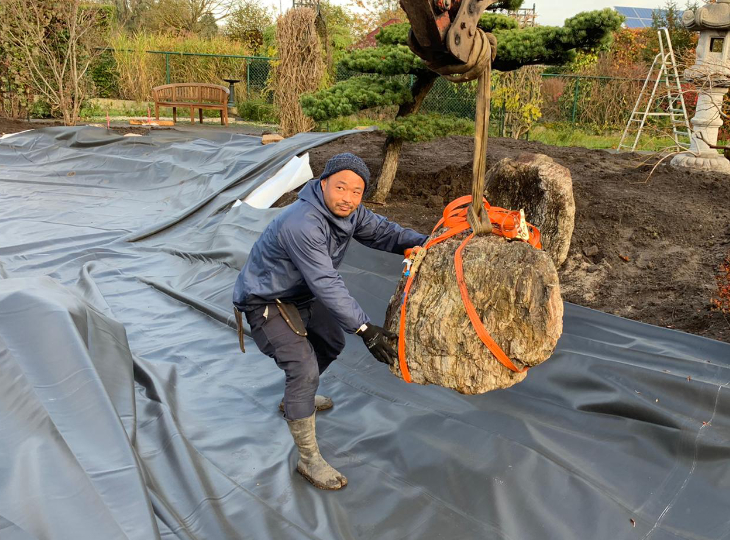 How the Japanese garden will be constructred will depend strongly on the type of Japanese garden, the situation, the environment and of course the desires of the customer. 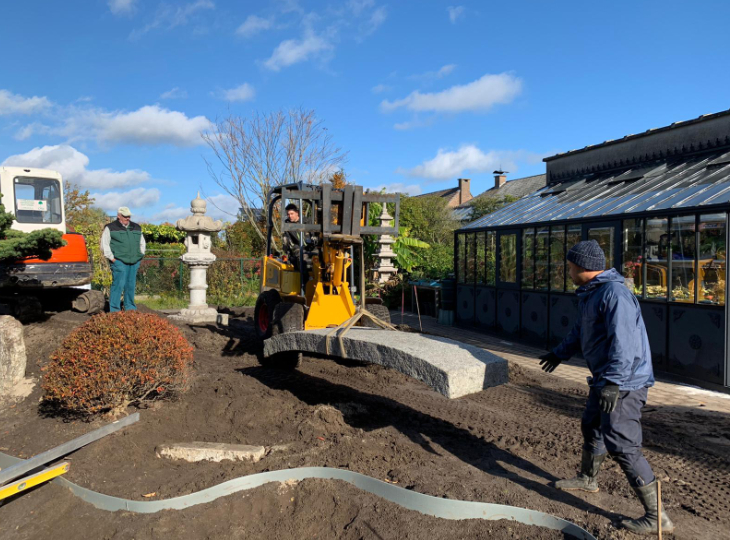 After approval of the design by our client, the garden construction will, in most cases, begin with the layout of the rough contours of the garden. 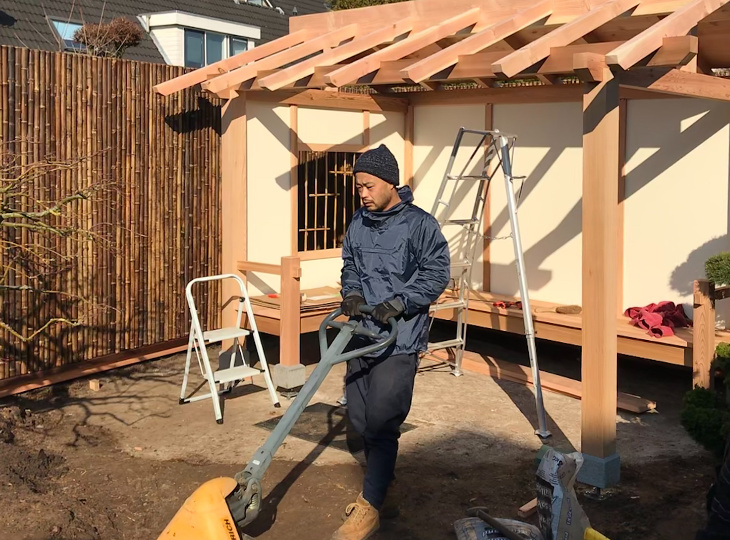 In this phase the landscaper will determine the areas where gravel and water will be situated, where elevation and slopes will be created and where a pond, veranda or even a Japanese style tea house will be located. 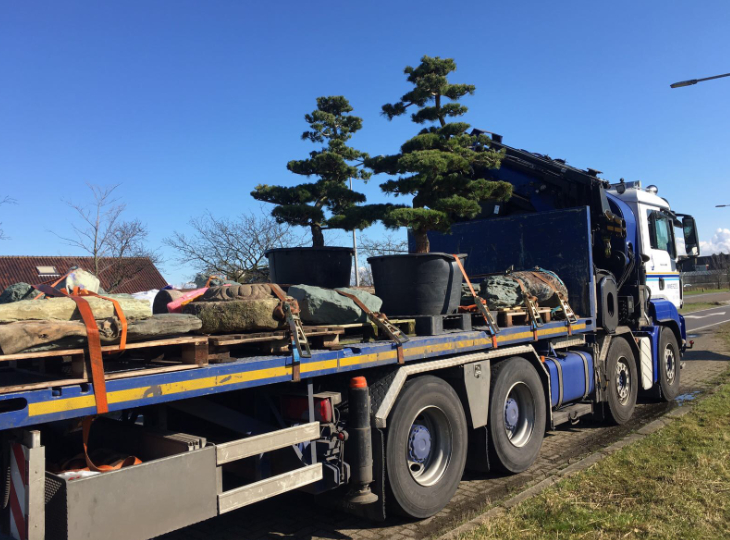 Once the rough contours of the design are in place it is time to think about where to plant trees, set rocks, boulders and stone ornaments. 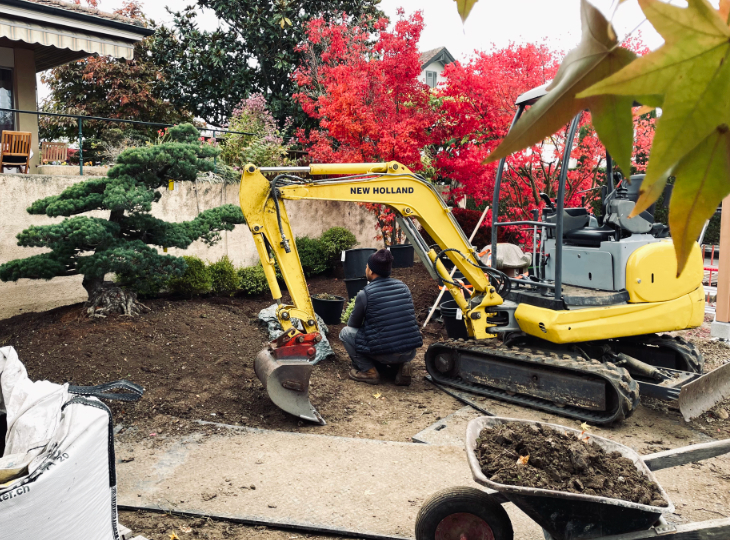 During constructing the landscaper is constantly monitoring and considering the existing parameters of the building site in order to optimally integrate existing and (re)usable trees, plants and features into the final design. 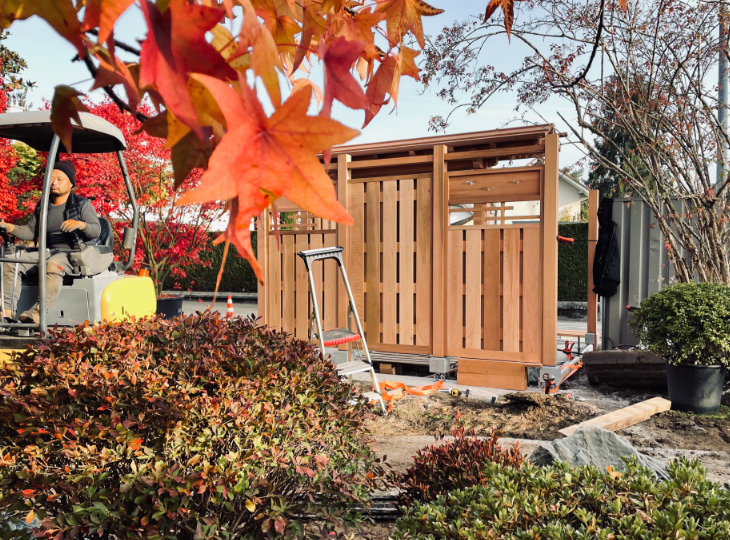 A Japanese garden is never really finished and needs to grow and age over time. 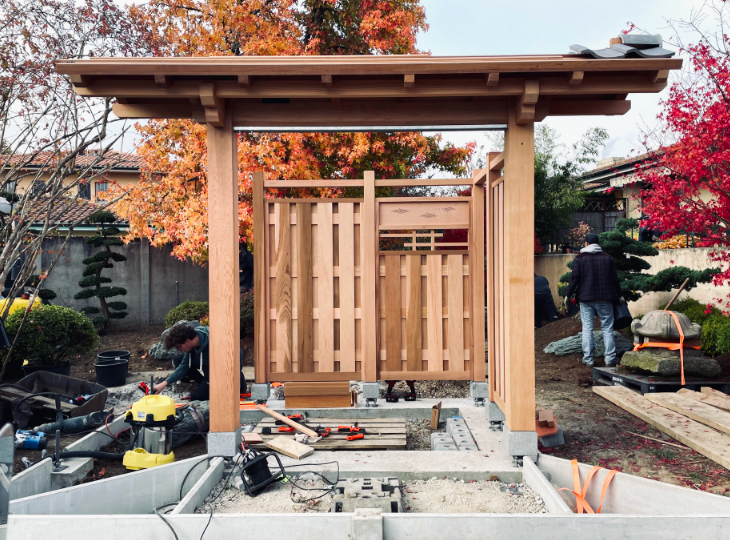 In many cases, therefore, the foundation is laid for what later can be called a "mature" Japanese garden. 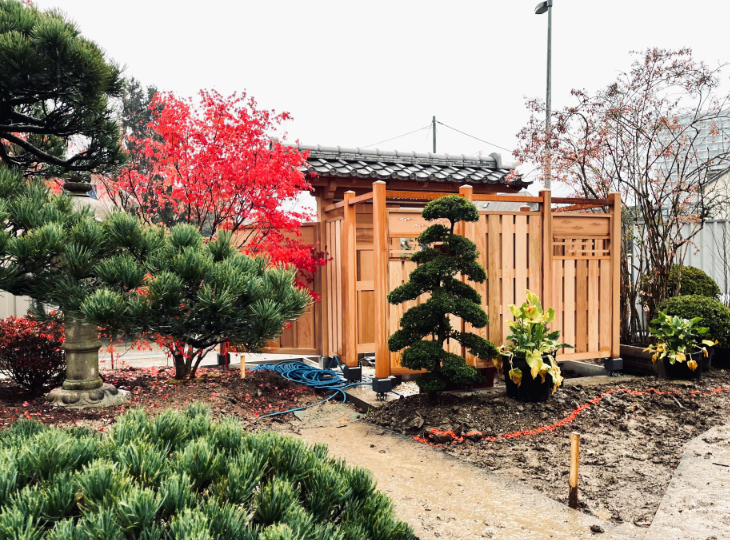 A Japanese garden is all about sizes and scale. The garden can in fact be compared to a miniturized and abstract version of a Japanese landscape. 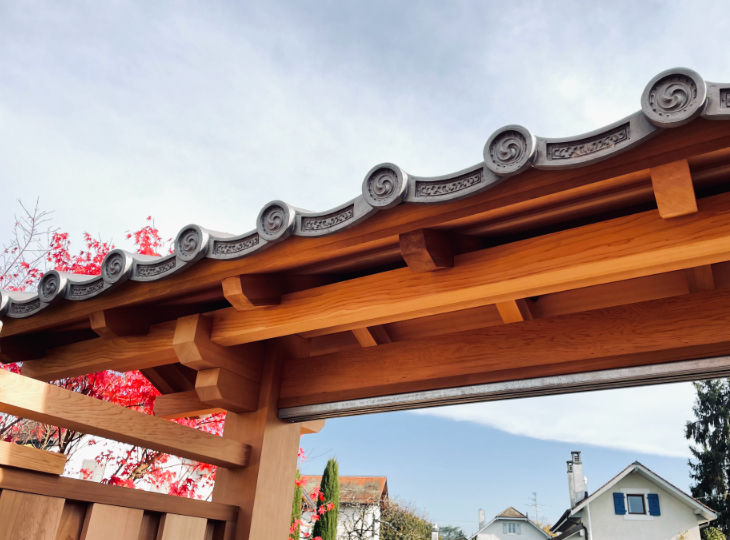 In Japan often an existing natural scenery will be used as a model for the Japanese garden. 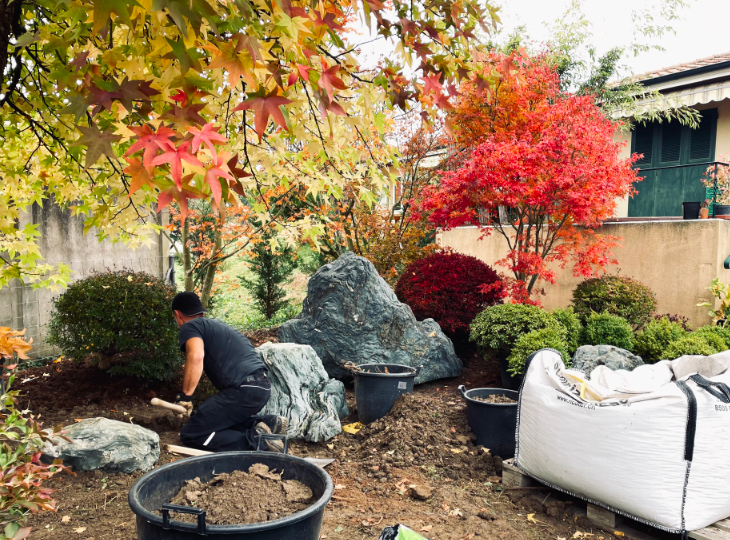 Wether we are looking at a small or a big garden, we will find all natural elements like water, rock, hills and slopes back in the design. 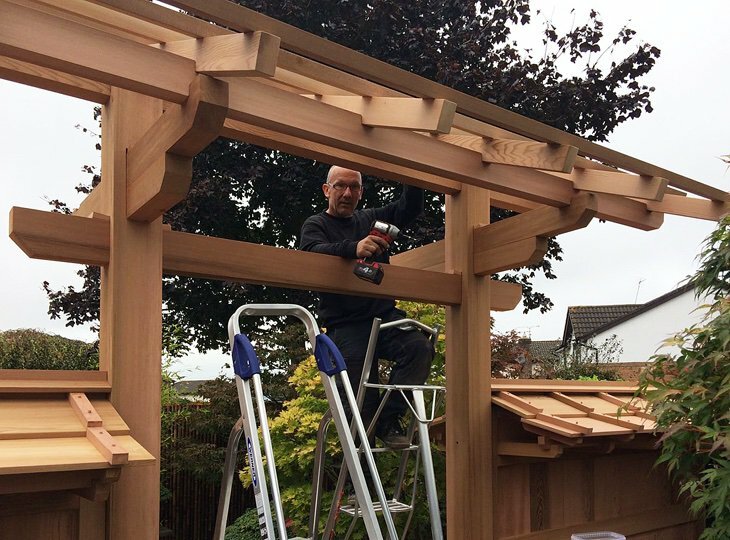 Of great importance are effects that we cannot directy percieve but can add great value to the Japanese garden. Think about sounds, odors and movement. 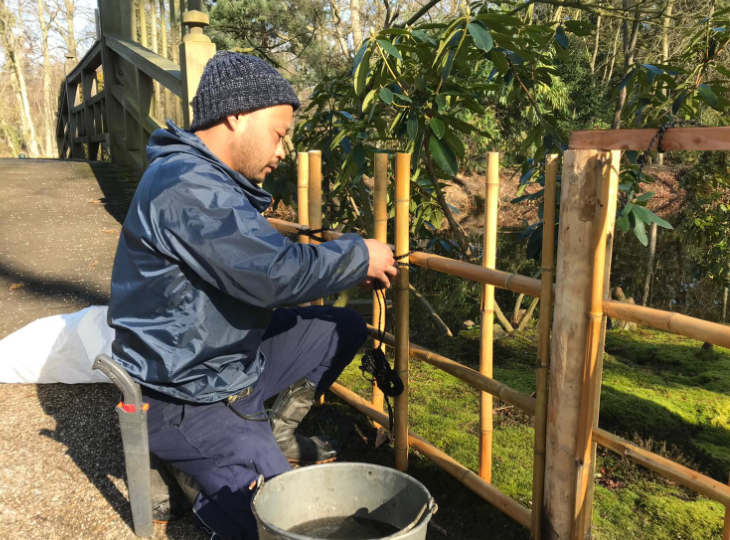 By integrating for instance, running water, whispering bamboo and fragrant plants into the garden we can create subtle scenery effects that will greatly enhance our perception of the Japanese garden. 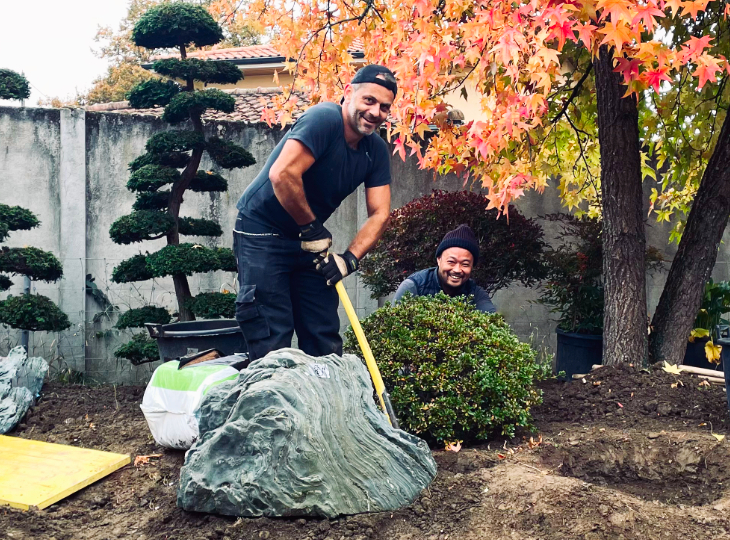 No Japanese garden will be complete without authentic ornaments like stone lanterns, a granite pagoda, stepping stones, etc. 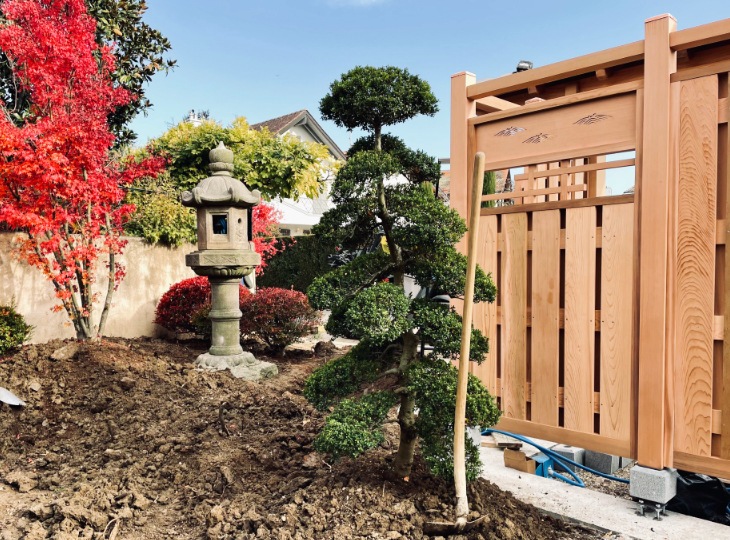 Yokoso Japanese Gardens can assist in the search for, purchase or lease of antique Japanese lanterns, tsukubai, Buddha statues and ornaments.